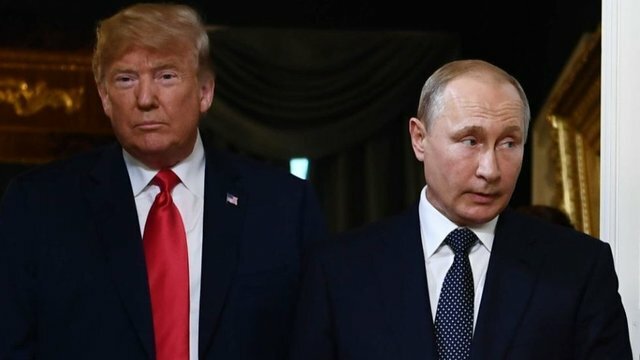 US President Donald Trump on Wednesday said he had no plans to meet Russia’s Vladimir Putin in Paris at the weekend, despite an earlier announcement from Moscow that the pair would talk there. The two leaders will be in France on November 11 for events to mark the centenary of the end of World War 1, which more than 60 heads of state and government are expected to attend. “I believe that President Putin will be there, we do not have anything scheduled,” Trump said at a White House news conference. Earlier in the day, however, Putin’s foreign policy advisor Yuri Ushakov said the pair had scheduled a brief conversation. “It has been agreed that the leaders of the US and Russia will talk only briefly in Paris, it will be a standing meeting,” he told Russian news agencies. Ushakov said the prospect of a full meeting between the presidents had prompted huge international media interest, leading to concern from the French organisers this could overshadow the commemorations. The pair were set for a more detailed discussion during the G20 summit in Argentina at the end of the month, to be confirmed after Paris, Ushakov said. Expectations have been growing for a new Trump-Putin meeting as tensions pile up over the Cold War-era Intermediate-Range Nuclear Forces Treaty (INF) and US sanctions against Moscow. Last month Trump sparked concerns globally when he said he would ditch the INF pact. Putin warned that abandoning the treaty, and failure to extend another key arms control agreement known as the New START, would unleash a new arms race and put Europe in danger. Trump’s National Security Advisor John Bolton indicated during a trip to Moscow in October that the White House wanted a Paris meeting and Putin said he was interested. A first bilateral summit between the two leaders took place in Helsinki in July. After the meeting Trump came under strong domestic criticism for adopting a distinctly conciliatory tone despite his own security services’ warning that Russia meddled in US elections. On Wednesday Trump once again insisted the investigation into his campaign’s possible collusion with Russia as a “hoax”. Earlier in the day the Kremlin said it saw little prospect for the normalisation of US-Russia ties, as Moscow braced for a new round of US sanctions.